Brighten your bed or sofa with these long cushions. Our cushions are made with zip fastening at the bottom and include a luxury feather filled pad, unless stated otherwise. 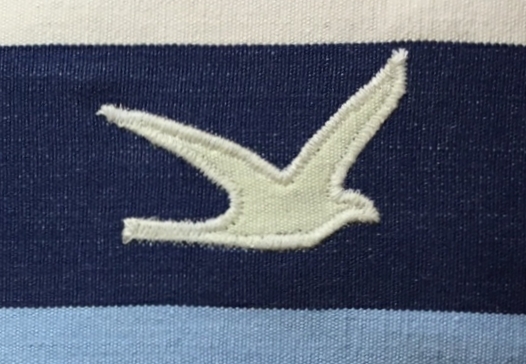 Select your back ground fabric and choose from a beach hut, boat or anchor design. 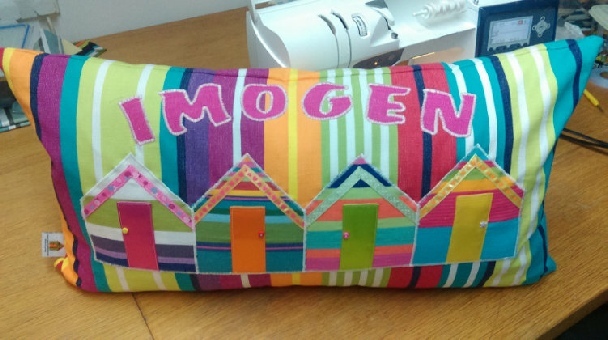 We can also add little extras and your cushion can be personalised with letters of your choice.